Update 1: 140 FAQs were added into individual feature page. PDF version of all these FAQs can be downloaded from this post . When you get your Samsung Galaxy S4, you may be overwhelmed by tons of features packed in your new handset. The user manual may be helpful, but there is insufficient explanation on these features. So, we prepared these pages giving you detailed explanation of the unique features in your Galaxy S4 so that you can fully utilize your new handset. You can navigate through the links in the left side to learn most Galaxy S4 features. We will try to add more pages gradually and update them when needed, so please check this page regularly. To download Samsung Galaxy S4 User Manual (PDF) in your own language, you may check our Samsung Galaxy S4 User Manual page. You can also read the S4 User Manual and Handbook online. Your feedback is important to improve the quality of these pages. Please discuss these pages in the comments section below, or in the Galaxy S4 discussion forum. Do you have any questions on Galaxy S4 features? 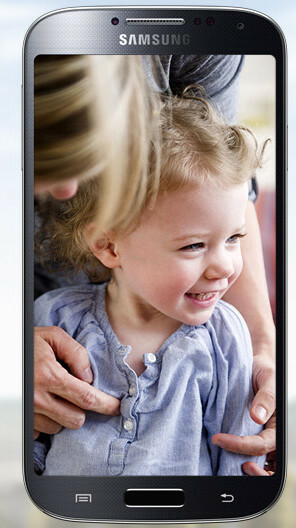 Please let us know your questions or comments on Galaxy S4 features in the comment box below. Anyway, simply restarting your phone may solve a lot of weird problems. Cannot find or able to use Voice Input, Samsung Gal 4 sgh i337….just switched from Sam Gal Fascinate sgh t959d on June 24….Voice on that phone was straightfoward. The 4 has so many problems or glitches…the data does not get turned off fully….when data is turned on i have to go through ritual of application manager + delete data for google play so it can be used…. There are a few more tricks i have found on the web. So many more. Voice is Most Important for me! Google voice input is available in almost all Android phones. If you are not using Samsung keyboard, you may try Google keyboard or SwiftKey. The other problems you encountered are not common. You may try to perform a factory data reset, which will eliminate most of the strange problems or behaviors.